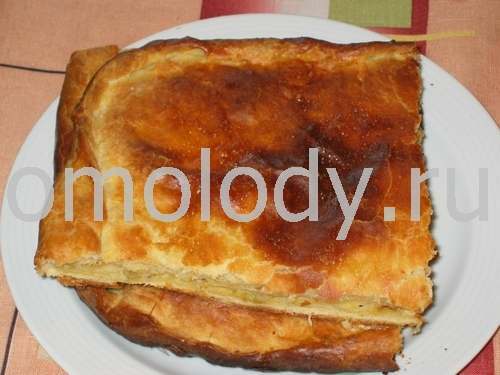 Pie with potatoes filling. Recipes from Russia. 500 g (1,1 lb) potatoes, washed, boiled, drained, mashed or finely chopped. Combine the mashed potatoes with remained ingredients. Flavour with salt.